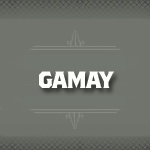 Gamay is a purple wine grape variety whose full name is Gamay Noir a Jus Blanc. It is mostly grown in the Beaujolais and Loire Valley around Tours. Typically blended with Cabernet Franc and Cot, these wines offer hints of raspberry with a fresh crushed pepper nose.